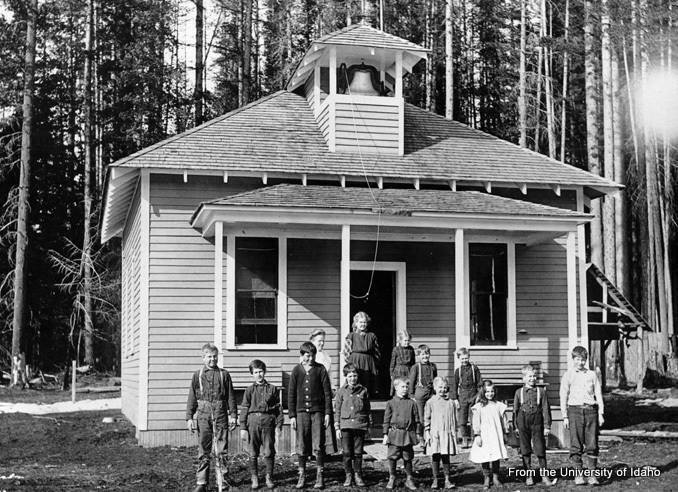 The Nordman School of Nordman, Idaho in 1918. This was also a one room school house in a rural community. Many of the communities had their individual school houses making it easier for children that could not travel far distances to school to get an education. Courtesy of the University of Idaho.